Programs that help farmers with the costs and expertise to preserve farmland and become certified for organic crops are threatened in the 2018 federal farm bill. When the U.S. House of Representatives failed to pass the massive $867 billion 2018 farm bill last week, that was good news for Maine’s small family farms and organic growers according to those who work closely with them. But there remains concern that language in the Senate’s unreleased version could still spell disaster for Maine’s organic and small growers. Reviewed and renewed every five years, the farm bill includes funding and policy language on federal trade, commodity programs, rural development, conservation, agricultural research, food and nutrition programs and marketing. Those in the state’s agricultural offices are keeping an eye on the farm bill’s progress but said there is still a long way to go before a final bill is signed. Of particular concern to Spalding and her colleagues at MOFGA were proposed funding cuts to — and outright elimination of — programs that assist organic farmers in Maine. But that commitment, Spalding said, comes at a cost to the farmers. Depending on the size of the operation, to keep up their certification organic farmers in Maine pay annual fees ranging from $425 to $2,650. Under the farm bill set to expire in September, a cost share program reimbursed the farmers 75 percent of that annual fee. The 2018 farm bill eliminated the cost share. Despite the hard work and low profit margin of organic farming, Spalding said the numbers of organic farmers in Maine continues to rise. Consumers, Spalding said, need to have confidence in the organic certification process and she fears language included in the House version of the farm bill will erode that confidence if it passes in the Senate. Part of the United States Department of Agriculture, The National Organic Standards Board is a federal advisory board of 15 volunteers representing the organic community. The board considers and recommends policy to the USDA on a wide range of issues including production, handling and processing of organic products. If the board does become skewed in favor of larger industrial farmers, Spalding said, its decisions could potentially override the needs and concerns of smaller organic operations and undermine the trust consumer has in organic certification. Whitcomb agreed the integrity of the The National Organic Standards Board should be maintained for the good of organic growers not just in Maine, but nationwide. In Maine, according to Griswold, that meant more than $13 million in federal funds in 2017 for farmers in the state implementing those conservation strategies. Spalding said she and her MOFGA colleagues are more than aware of the importance of federally funded programs for land conservation in addition to funding outreach programs to train the next generation of farmers. Last year MOFGA received around $250,000 from the USDA for the certification reimbursement and to provide stipends and other support to mentors participating in programs aimed at teaching newcomers to farmers the ins and outs of farming. So far, she said, about 300 people have gone through the two-year program and most have gone on to be successful farmers on their own. But now, under the proposed 2018 farm bill, those funds are in danger. The House version of the bill eliminated the funding and Spalding said there is no word yet if it would be reinstated in the Senate version. Two of Maine’s top crops — potatoes and blueberries — reap $600,000 worth of benefits every year thanks to funding in the current farm bill, according to Whitcomb. Despite being common in Maine, those crops are considered “specialty crops” on the national level and are thus eligible for the federal Specialty Crop Block Grant money. Assuming the Senate does approve the bill, the House must still again take up and act on its next version of the farm bill. According to Whitcomb, if the bill does make it through Congress and is signed into law before the Sept. 30 deadline, he’d be surprised. Saying it’s been “decades” since a farm bill was passed on time, Whitcomb said it will be business as usual as agricultural agencies and departments operate under the current farm bill’s language. 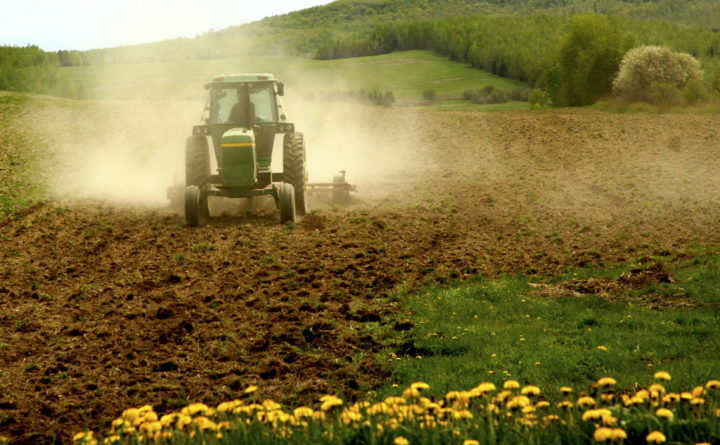 As it wends its way through the legislative process, the bill will be under constant scrutiny by Spalding, who is not shy about what it could mean for Maine’s farmers. Correction: A previous version of this story contained an error in a quote by Ellen Griswold. In fact, the original House Farm Bill would have reduced funding for the other programs and not eliminated them.